The creators of Festive-All have announced the Summer Send-Off 2015! 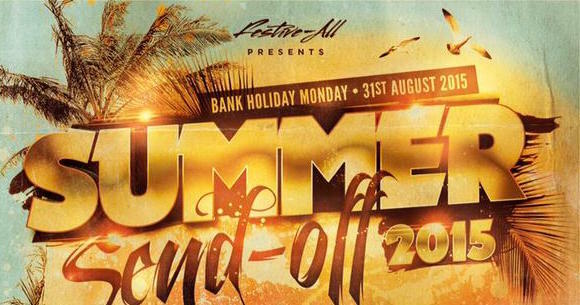 Following the success of their last two Christmas events in 2013 and 2014, Festive-All is returning for its first Summer event - the Summer Send-Off 2015. 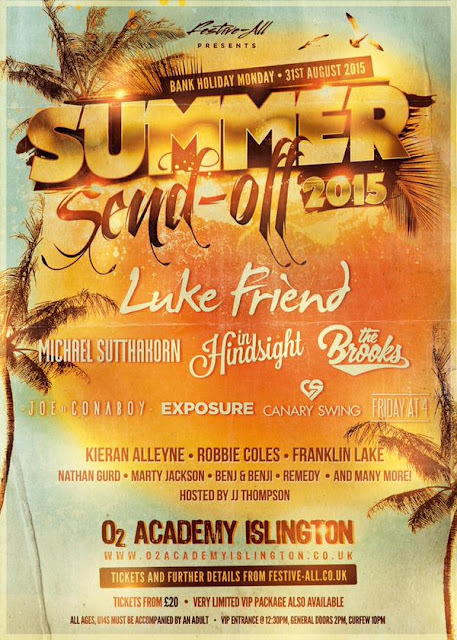 The event will take place on the bank holiday Monday of 31st July at the O2 Academy Islington, home of Festive-All. Youtuber JJ Thompson of the recently disbanded Kingsland Road will present the event with The X Factor star Luke Friend set to headline. Other acts including Michael Sutthakorn, pop/rock band In Hindsight and X Factor twins The Brooks will also take to the stage. See poster below for full details about acts. Tickets are available from 6pm on Wednesday 24th June from here. Standard tickets can be purchased for £20 with a £50 charge for VIP tickets (further details are available on the link). To keep updated, be sure to follow Summer Send-Off on Twitter!